This press release was originally published on February 6, 2019. 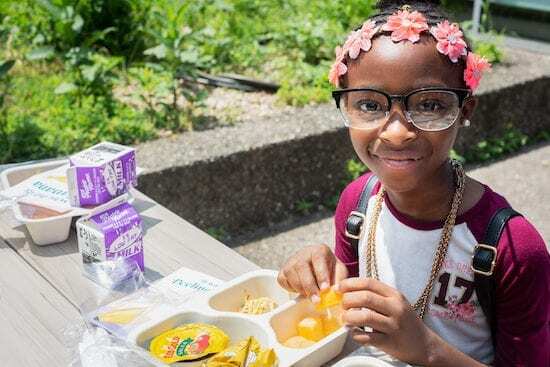 Feeding America®, the largest hunger-relief organization in the United States, announced that its 100 Million Meals Challenge, a partnership with No. 1 bestselling author, philanthropist, and expert life and business strategist Tony Robbins, has changed its name to the 1 Billion Meals Challenge to reflect the campaign’s new goal of helping to provide 1 billion meals by 2025. Launched in 2014, the campaign has so far raised funds to help provide more than 420 million meals to hungry Americans through the Feeding America network of 200 member food banks and 60,000 food pantries and meal programs.“I’ll never forget what it felt like as a young boy thinking we wouldn’t be able to sit down to Thanksgiving dinner. Then a stranger gave us the food we couldn’t afford,” Robbins said. Now entering its fifth year, the partnership aims to provide 100 million meals per year to individuals and families struggling with hunger—thanks in part to Robbins’ matching gifts, which have included both personal donations and all proceeds from his two most recent books: Money Master the Game and Unshakeable. For every dollar raised, Feeding America helps provide at least 10 meals through its network of food banks. “We are so grateful to Tony Robbins for his longtime, generous and vibrant partnership with our organization,” said Claire Babineaux-Fontenot, CEO at Feeding America. A supporter of hunger-relief efforts for more than four decades, Robbins became a Feeding America ambassador nearly 10 years ago. Throughout the year, he promotes the 1 Billion Meals Challenge on his social channels, where he has nearly 20 million combined followers, as well as in newsletters and direct mail. Robbins has been instrumental in inspiring individuals and corporations to support the cause of hunger and has played a key role in helping to attract more than 5,000 new donors to the organization annually. Feeding America® is the largest hunger-relief organization in the United States. Through a network of 200 food banks and 60,000 food pantries and meal programs, we provide meals to more than 46 million people each year. Feeding America also supports programs that prevent food waste and improve food insecurity among the people we serve; educates the public about the problem of hunger; and advocates for legislation that protects people from going hungry. Visit www.feedingamerica.org. Tony Robbins is an entrepreneur, #1 New York Times best-selling author, philanthropist and the nation’s #1 Life and Business Strategist. A recognized authority on the psychology of leadership, negotiations and organizational turnaround, he has served as an advisor to leaders around the world for more than 40 years. Author of five internationally bestselling books, including the recent New York Times #1 best-seller MONEY: MASTER THE GAME and UNSHAKEABLE: YOUR FINANCIAL FREEDOM PLAYBOOK, Mr. Robbins has empowered more than 50 million people from 100 countries through his audio, video and life training programs. He created the #1 personal and professional development program of all time (Ultimate Edge) and more than 4 million people have attended his live seminars. For more, visit www.tonyrobbins.com.